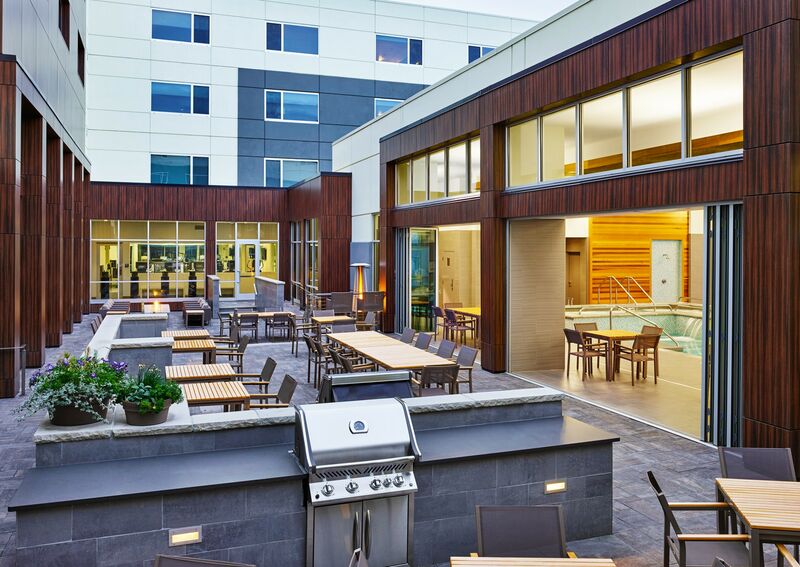 With over 1000 locations and distinct brands designed to accommodate a breadth of travel needs, including temporary housing and executive suites, Marriott’s Extended Stay brands provide everything you need to be comfortable and productive on longer stays. Like spacious accommodations with full kitchens and separate spaces to work, sleep, eat and relax. They even offer lower rates for longer stays and the ability to earn Marriott Bonvoy, which can be redeemed for free nights, free flights, and more. Experience custom running routes during your next stay courtesy of Under Armour Connected Fitness. Hotel support (24/7 staff) and amenities. Eco-conscious green from the ground up. ExecuStay, an Oakwood Worldwide brand, is the preferred corporate and temporary housing partner of Marriott International in the United States. This partnership allows Marriott to provide an option for those seeking furnished apartments for stays of a month or more. Marriott Bonvoy® members earn points for stays at any ExecuStay location in the U.S. Learn more at ExecuStay.com.